I’ve supported Rowcroft Hospice in many ways and for several years, from marshalling at different events, traffic management, stage managing, and providing technical equipment and skillset services for events by Rowcroft. Just a few weeks ago, I provided a PA and my services for the yearly “Light Up A Life” event held at Rowcroft Hospice gardens, completely free of charge. The event “Life up a life” is time to remember and celebrate the life of someone who is no longer with us, and to support Rowcroft Hospice. 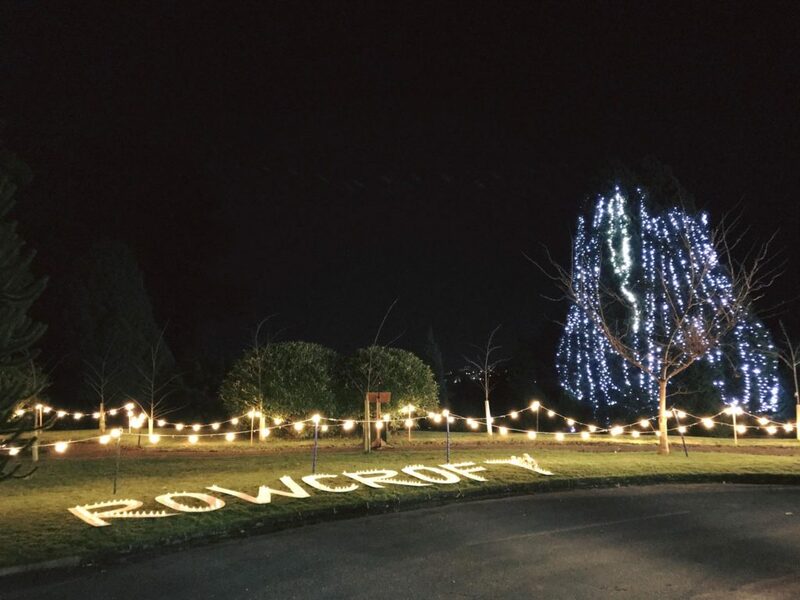 Tree of Light – for each person remembered, a light will be dedicated on the ‘Tree of Light’ at Rowcroft Hospice gardens. Book of Light – dedications made for the tree of light will be inscribed into the Book of Light which will be on display at all of the celebrations at Rowcroft Hospice. Celebration Star – The name of a loved one on a ‘celebration star’ which will be collected and hung on the Christmas tree at Rowcroft Hospice. This event which has 2 sessions – one at 4pm and one at 6pm, are completely packed out. It has been a great honour and pleasure to assist with these events.